Mosquitoes transmit heart worm disease, which affects both dogs and cats. Mosquitoes can be seen at various times all year long. Even slightly above freezing temperatures will cause otherwise dormant mosquito eggs and pupae to hatch and become active. So even if your pet is an indoor only pet, it just takes one mosquito to infect them. When a mosquito bites an animal, the larva is deposited on the skin, and from there makes a journey to the bloodstream, which takes 30 days, eventually taking it to the heart, where it will mature to an adult heart worm. 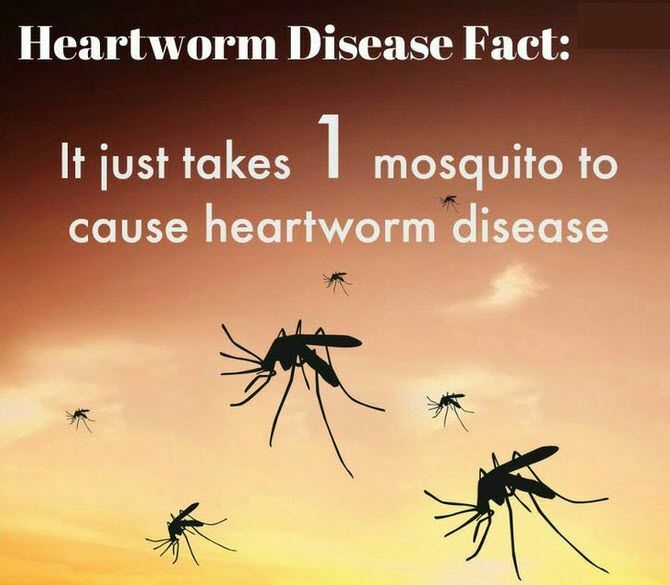 This is the reason that heart worm preventatives can be given once per month…they kill the immature heart worm that is migrating through the skin. But, once the larva reaches the bloodstream, the preventative is ineffective. Therefore, it is very important to give the heart worm medication on a strict monthly schedule. almost 20% of all positive heart worm cases in the U. S. are in Texas! With every animal transport to Austin Humane Society, Texas Humane Heroes, and other rescue groups, 365 Pet Connection gives a donation per transport. These contributions help for spay/neuter, animal wellness check-ups and any necessary vet work to get these dogs and cats ready for adoption. Also, when 365 Pet Connection fosters a dog, your donations go to help provide medicines, vet services and rehab if needed. All of our foster dogs are spayed or neutered, fully vetted, heart worm tested, placed on monthly heart worm prevention and microchipped. 365 Pet Connection relies entirely on your generosity to continue the work that we have been doing since September 2013. We do not receive any government funding. 100 Percent of the money you donate goes to help save the lives of animals who might otherwise have perished. Please consider supporting these efforts through a direct, tax deductible donation.